A well constructed deck with high quality decking materials can be a beautiful extension of your home during the warmer months and can add value to your property all year round. 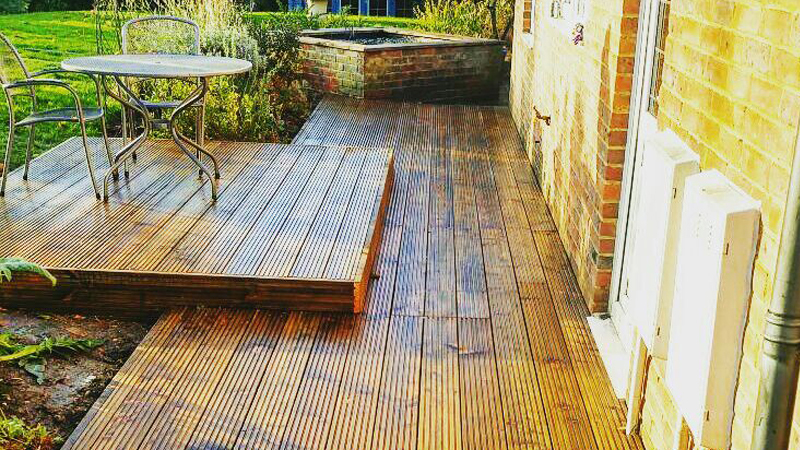 Make your garden exciting with our decking. Lasting years it can give you a beautiful space to relax and your children can play safely. It's a great way to make the most of your outdoor space. We are experts in advising on design and style to make the most of your front or rear garden. Call for a visit, so we can provide you with a no obligation quote.